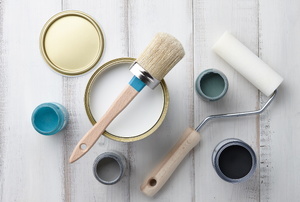 Before your next painting project, make sure you have these tools in your arsenal. Although both paints can give the same kind of finish, lacquer and enamel have several fundamental differences you should understand. 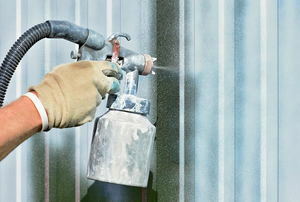 If you have problems fighting mold and mildew, consider using mildew-resistant paint to get a leg up in the battle. 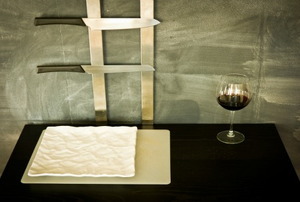 Use spray paint and light to give your glass surfaces a whole new dimension. 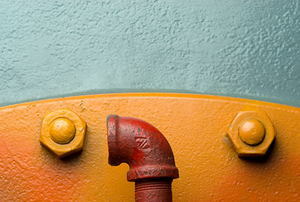 The paint in some rooms, like the bathroom, will streak and run under the pressure of heavy moisture. 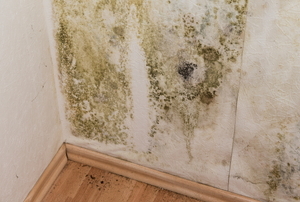 For those spaces, choose anti-condensation paint instead. 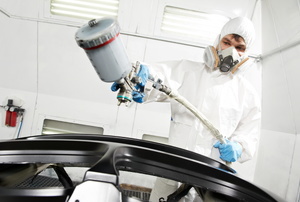 They’re most commonly found in auto refinishing shops. 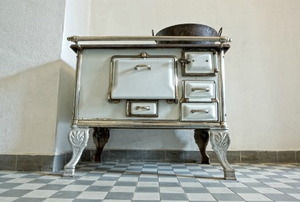 Enamel paint can be removed with a few basic tools. A spray paint booth can be great for cars. 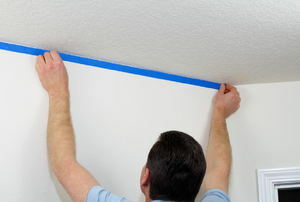 Painter's tape creates straight lines. 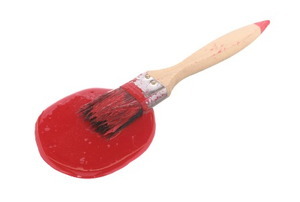 Acrylic latex paint is an important tool and great option for many household painting needs. Applying paint primer to a wall will help to create a better finish for the top coat as well as keep your paint looking good longer. 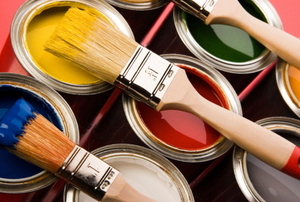 What Are the Different Types of Paint? 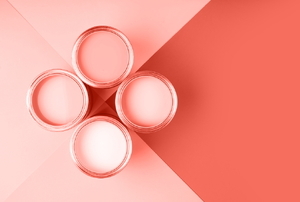 Satin and gloss paints are among the kinds of paint you might want to use for your next DIY project. 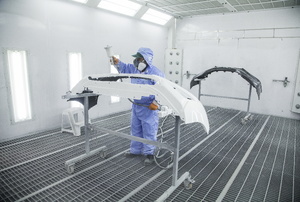 Any car that has had the paint stripped down to the metal will require you to use a primer before painting the car your desired color. 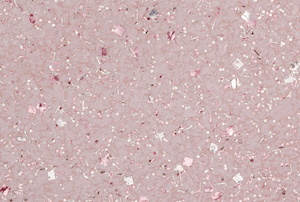 Glitter wall paint may not speak to everybody, but if it speaks to you, it is important to remember these six tips for a simple, long-lasting application process. If you've got a can of leftover enamel paint, you might be looking for a DIY project to use it up. Or, maybe you're just hoping enamel paint will work on a project you're already considering. 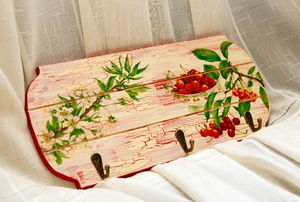 These projects are perfect for using up enamel paint and sprucing up your home items. From straining the paint to starting in the corners, here's the best way to use this efficient tool. 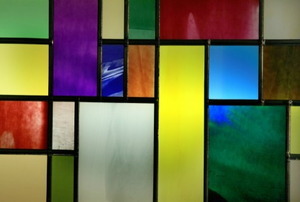 Alkyd paint, or oil based paint, is popular in applications that require a high gloss, durable finish. When it's time to whitewash your cabinets or other items, mix up a batch yourself for custom results. Read this before your next painting project. 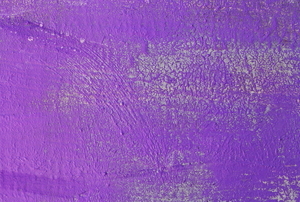 Thick acrylic paint can create a disasterous result so learn how you can thin it with just water. 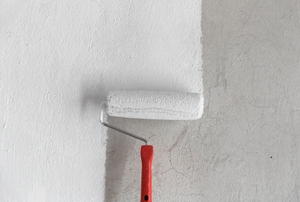 It's impossible to paint over enamel-painted walls without the right guide. 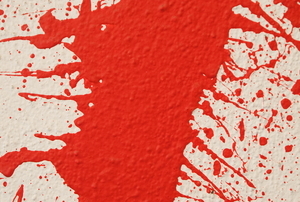 Fix any little accidents you might have while painting with just a few household items. 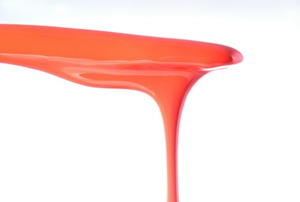 Learn how best to get durable, glossy finish with enamel paint. 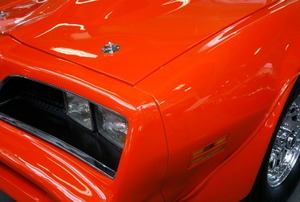 Get the best hard finish and shine from your lacquer paint. Never paint over wall damage. 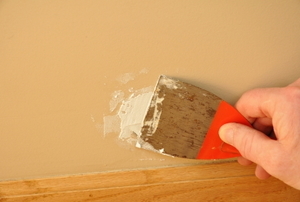 Always patch and smooth the surface with spackle first. 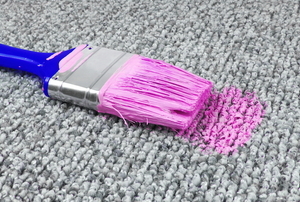 Don't sweat it if you get some water-based paint onto your carpet. Whether it's wet or dry, it's easy to clean up with these three steps. 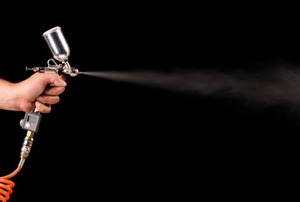 Don't let the rest of your spray paint go to waste by allowing the nozzle to remain clogged. Although blue painter's tape is great at making clean lines, the results can be disastrous if you don't remove it in the proper time frame. 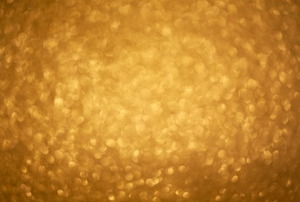 Give your walls a unique touch by adding glitter paint for an extra shine. Can I use Wall Paint on My Ceiling? 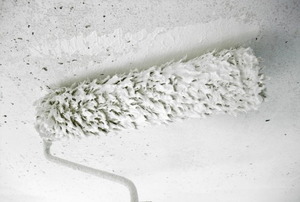 Should you use ceiling paint on your ceiling, or will wall paint do? Find out. 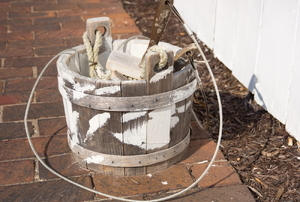 Adding hardeners and reducers to your enamel paint creates the best finish. 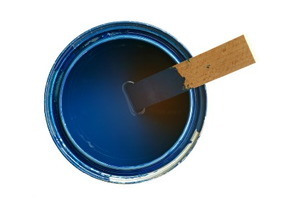 Read on for six tips to mix your paint properly. 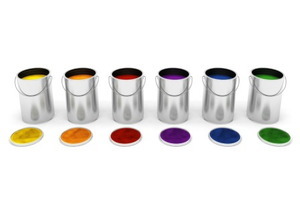 Enamel paints are just one kind you can choose from for your next project. Be sure you’re using them correctly for a professional result. 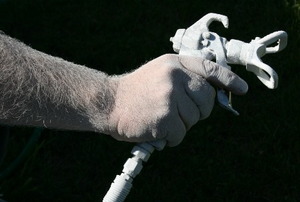 Being able to cover a large area more quickly is just one of the many advantages paint sprayers have over rollers. 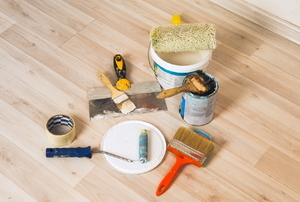 Here are some simple guidelines for sanding down your enamel before you refinish. 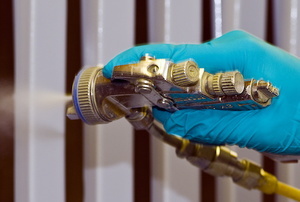 A clear coat can give your projects just the finish that you want and the long-term protection they need. 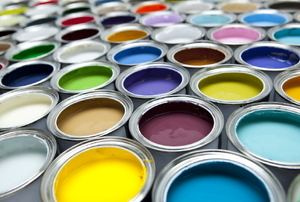 Get to know your interior paint types before deciding which kind will be best for your walls. 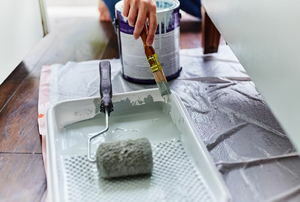 Painting over oil-based paint with latex paint isn't impossible, or even hard, if you know the keys to proper preparation. 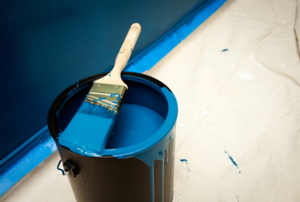 Keeping a good, thin consistency to your interior paint is important. 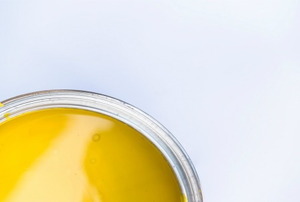 Prevent and fix your thickened paint using these tips. Chalkboard paint turns most any surface into a creative space, but there are some special considerations to take into account. 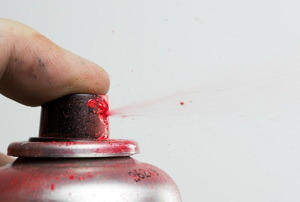 Follow these steps to remove model paint. 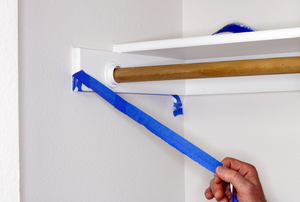 Painter's tape is an important tool in your painting arsenal. Here's how to use it. Before you paint, make sure you have the right tools.